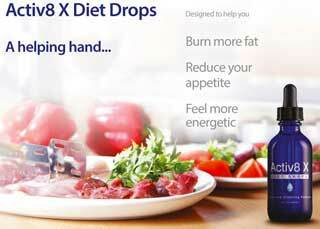 Activ8 X diet drops – are they the best drops? 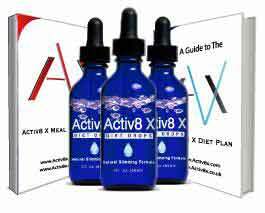 Are Activ8 X diet drops the number 1 rated slimming supplement in Europe? Amas Enterprises says so. That’s a pretty hard claim to prove, but as far as claims go it’s pretty tame by comparison to those made by manufacturers of competing blends, so let’s put Activ8 X under the spotlight and see if they can live up to expectation. 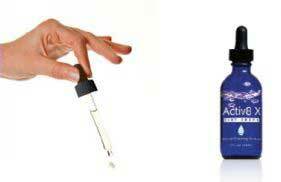 Activ8 X is a slightly more costly product than many competing weight loss options, but initial impressions indicate the drops should easily outperform many cheap and cheerful alternatives. Their liquid composition enables the drops to be absorbed faster than pills. That means they should work faster too. 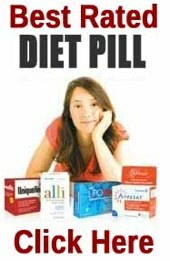 Diet drops also tend to be easier on the stomach and offer obvious advantages for any dieter who has difficulties swallowing capsules and pills. Results can be enhanced by users who pay close attention to diet plan Amas provides to accompany their product. So far this all looks pretty promising but the choice of ingredients can make or break any weight loss blend. Let’s take a look at what goes into this one. Capsicum: A clinically proven ingredient that can fire-up the metabolism and burn away the flab. Some studies show capsicum supplementation can result in fat being burned 12 times faster than normal. Green Tea Extract (EGCG): Most dieter will be aware green tea has a good reputation as a fat burner, but it is a little-known fact that it can also enhance the performance of other ingredients. Beta-alanine: A non-essential amino acid believed to ensure the growth of healthy muscle tissue. Its inclusion here should help reduce the likelihood of muscle mass being lost due to dieting. Chromium: A fat burning ingredient that became popular during the 1950 after tests conducted on rodents showed some promising results. Grapefruit Powder: Included here due to its alleged ability to suppress the appetite, but grapefruit is also known to provide powerful detox benefits. Pyruvate: Aids the smooth conversion of starches and sugars into energy, so it’s great for adding a little extra zing to the day. 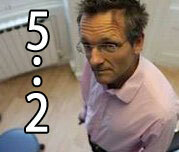 Should also reduce the likelihood that simple and complex carbs will feed the growth of fresh fat cells. Garcinia Cambogia: A highly nutritious ‘super fruit’ ingredient. Garcinia’s ability to restrict fat cell growth has resulted in becoming one of the most popular weight loss enhancing ingredients available. Grape Seed Extract: Known to be rich in antioxidants. Some studies show grape seed extract may also possess carb and fat blocking abilities. African Mango: Another fruit-based ingredient. Tests show supplementation with African mango can secure weight losses of up to 28 lbs. in just 10 weeks. Panax Ginseng: A Chinese herb famed for its aphrodisiacal qualities. Incorporated here to assist the carb blocking powers of the other ingredients. The official Activ8 X website contains an impressive amount of positive testimonials. Reviews placed on product websites can seldom be relied upon, but in this case the words are harder to doubt because they are provided courtesy of an independent testimonial verification service. Activ8 X should not be used by pregnant and nursing mothers. Anyone who has any health issues or concerns should consult a doctor prior to commencing supplementation. Activ8 X contains some good ingredients that should be more than capable of providing the promised results. The lack of inclusion rates is a little disappointing, but is more than compensated for by the availability of so many independently verified customer testimonials. Plenty of past customers say the formulation works, and new customers have the security of a 200 day guarantee, so it’s hard to fault this one. Activ8 X makes our list of recommended weight loss products. Each bottle contains a one month supply of Activ8 X diet drops. At the time of this review the RRP was £49.99 per bottle, but bulk buy discounts were available, with the best deal being provided to customers who purchase three bottles for £119.99. International shipping is offered and all purchases are protected by a lengthy 200 day money back guarantee.